Miller and colleagues sailed on the British Geologic Survey drilling vessel Fugro Synergyto collect samples from the Corinth rift in the Mediterranean Sea. The expedition is sponsored by the the International Ocean Discovery Program (IODP) and European Consortium for Ocean Research Drilling. Having formed its modern expression over the past 5 million years, the Corinth rift is young for an active continental rift zone. 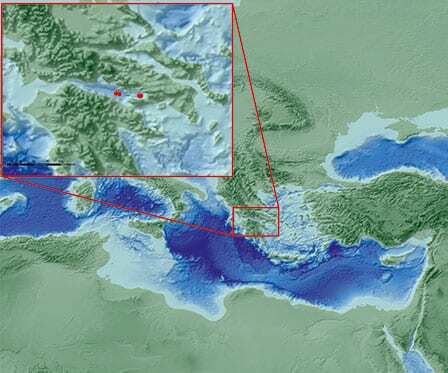 It’s situated across a shallow marine basin about 30 miles west of Athens and has a closed drainage system that Miller said makes it ideal for studying early rift development and the way land forms when it is subject to competing forces from tectonics and climate.Miller and colleagues sailed on the British Geologic Survey drilling vessel Fugro Synergyto collect samples from the Corinth rift in the Mediterranean Sea. The expedition is sponsored by the the International Ocean Discovery Program (IODP) and European Consortium for Ocean Research Drilling. “Pore water and ocean sediment tell how the climate and biosphere have changed over time,” he said. “From the types of organic carbon and related compounds that are present, we can get the rates of photosynthesis as well as the sediment and water chemistry of the past. 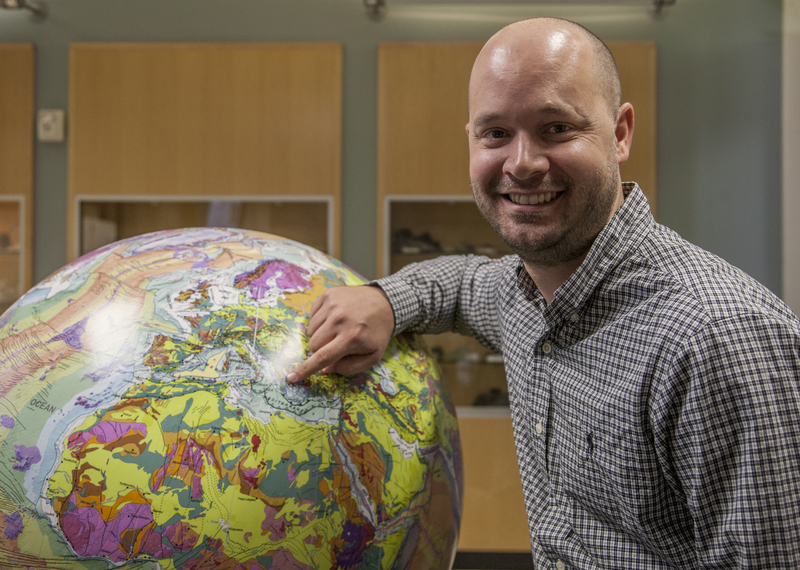 That will tell us how life responded to the rift and to changing sea level.”After the cruise, Miller will conduct more in-depth experiments at IODP’s core storage facility in Bremen, Germany.